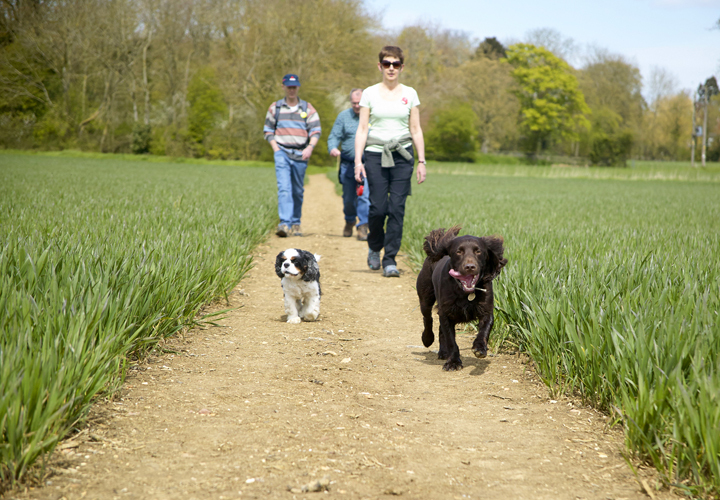 The Bartlow 3 Counties Charity Walk is a great day out for walkers and all the family. Please join us on the 5th May. Last year 977 walkers enjoyed their day in the sunshine and we raised over £18,000 for our three good causes. Arrangements are well under way for this year’s walk which will be on the usual Sunday, 5 May. We have made some tweaks to the route but 6, 9 and 13 mile walks will be available as well as the 1 mile history trail. There will be food, drink, music and entertainment in the farmyard for young and old alike - a great family day out! This year’s Addenbrooke’s cause will be Children’s Services. We have replaced last year’s Romans with a World War 2 theme! The history Trail promises to be entertaining for children and fascinating for adults. The 9 and 13 mile walks will be routed through the history trail, and those on the 6 mile walk can enjoy the 1 mile trail after they get back at no extra cost. Registration is now open with full details of the walks so hold 5 May in your diaries and make plans to bring your friends to the 2019 walk! Be sure to REGISTER for Family and Adult walk discounts!